This week's Creative-Weekly: Chance The Rapper receives Innovator Award, Juelz Santana turns himself in, Lil Wayne & Birdman hug it out in Miami, Jay Z & Beyoncé announce On The Run 2 tour and Cardi B Announces April release for debut album. Pharrell Williams presented Chance The Rapper with the "Innovator Of The Year" Award at the iHeartRadio Music Awards held this past Sunday (March 11) in Los Angeles. Chance recieved the award, thanking the likes of Ray Charles, James Brown, Prince and Beyoncé for paving the way. “I didn’t invent independence in any way,” he said. “I didn’t innovate this idea. I’m following behind a lot of other people and it takes a lot more of us coming together as artists to regain our control and power, as we should have it." Last Week, stories of Juelz Santana being caught with a loaded weapon at Newark Liberty Airport was making the rounds. The Dipset rapper reportedly fled the scene of the incident in a taxi cab when Transportation Security Administration (TSA) agents found a firearm in his luggage. After proving elusive for rhe most part, Santana whose real name is LaRon Louis James decided to turn himself in to Port Authority Police in the early hours of Monday. TMZ reports that the 36-year old has been booked for unlawful possession of a weapon, possession of a controlled dangerous substance, and an "unspecified federal warrant." Lil Wayne and his longtime mentor, Bryan "Baby" Williams were spotted hugging one another at club LIV in Miami on Sunday night. Despite the brief moment of nostalgia, Wayne is still suing Birdman for $51 Million. He also claims Birdman is holding him hostage and won't let him release the long awaited "CARTER V."
Birdman, in a recent interview with Rap-Up claimed the CARTER V LP would be released this year. "Without a doubt. You will get [the album] this year. It’s gonna be well worth the wait." 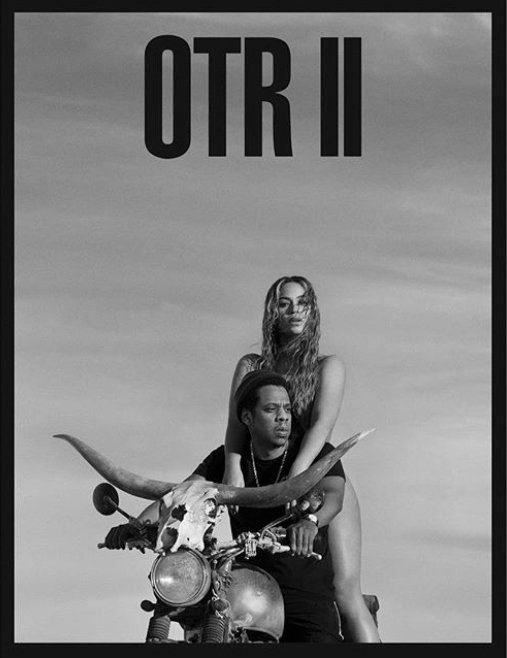 The Carters are heading back on the road for the second leg of their OTR tour. The 36-day event is set to kick off on June 6 in Cardiff, Wales before making its way through other European cities including Manchester, London, Rome, Barcelona and Nice. The hip-hop couple will kick off the North American leg of their tour in Cleveland on July 26. General tickets go on sale March 19, while a pre-sale for Citi, TIDAL, and BeyHive members starts March 14. Full tour stops available below. Cardi B Anniunces April Release For Debut Album. After pretty much conquering every obstacle in her path, as well as setting new records along the way. Cardi B is now ready to unleash her debut album. The former Stripper & reality TV star while receiving her award for Best New Artist at Sunday's iHeartRadio Music Awards in Inglewood, California revealed that her much anticipated debut album will arrive in April. Expect more details to surface soon.